Inspire the TRIBE, the blog, began as a place of refuge. It served as a safe place to post my inner most desires, inspirations, poetry and musings - something that felt safer in the faceless, nameless hands of the anonymous World Wide Web, rather than the hands of people who knew me and would pick apart my every post. I wanted it to appeal to the 'masses outside of the masses', or the 'others' - my TRIBE. Those who would understand a blog that for years was ultimately the hoarding of thoughts, dreams and inspirations until the time felt right to release them. After years of sharing my blog with only a handful of those closest to me, I decided to slowly begin sharing it with others. This is where the 'Inspire' comes in. I had unwittingly created an online diary... a collection, so to speak, of inspiration, for not only myself but the thousands of visitors that had stumbled upon my little slice of the internet. It has since evolved into a little more (or less, at times) but I have never left it. Inspire the TRIBE is me and I am Her. It has given me the courage to release my artistic vision and expression and allowed me to evolve freely and fully. 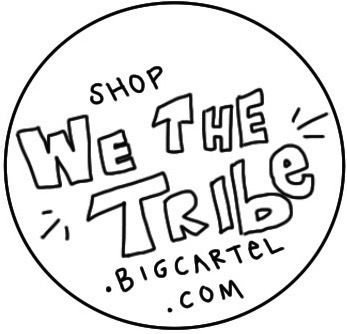 a compilation of all that is creative"
The TRIBE - the free-thinkers, doers, movers and shakers.